Richardson, TX — April 10, 2018 — Varsha Bhave is the driving force for innovation and technological prowess in the construction industry, taking much of her inspiration from past experience and exceptional technical expertise. Varsha has previously worked with several cities as a city planner before eventually joining the City of Arlington, Texas, as a statistical analyst and long range senior planner. During her tenure at the city, she led efforts for the successful passage of the 1994-1995 CIP bond election. Bhave also made great strides in automating the creation of performance reports for the city's construction projects, on top of managing the cities vast and highly critical impact fee program. Building on her years working in the construction industry, she set out to create a new way for project owners to successfully manage capital construction projects with her first-hand knowledge of the industry. Today, Varsha is the founder of Systemates Inc., and oversees the production, design, and maintenance of Projectmates Construction Program & Project Management Software. Because she was a city planner herself, it's easy to see why Projectmates is designed more for owners, as opposed to some platforms that are designed for general contractors. The needs of owners are unique due to the need to manage a multitude of complex capital construction programs that run into the billions. 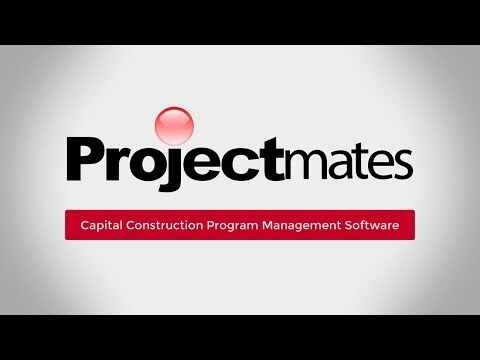 Projectmates has long been a critical component to successful construction projects. By allowing project owners to access their project data anywhere at any time from any device, the construction site and information is no longer compartmentalized. Varsha has brought new technology to the forefront of the construction industry to harness the power of cloud technology and true mobility. Varsha spares no effort to stay ahead of industry trends, continually looking to innovate and use new technology. By steering the development of Projectmates in response to user feedback as well as foreseeing future demands in construction management software, Varsha ensures that Projectmates has consistently remained an industry leader in owner-focused construction program management software solutions. Security, efficiency, and forward thinking are all crucial elements to the software Varsha has created. Varsha's vast knowledge of capital project management coupled with her savvy Web application development techniques gave birth to the underlying ideas for using Web-based technologies to manage the complex processes of construction management. With a robust, stable, and secure platform, as well as the willingness to listen to client suggestions, it becomes easy to see how Projectmates has grown to become a leader in project management software for construction. With its diverse list of functions, the software is readily applicable across a variety of industries. To-date, more than 100,000 projects rely on Projectmates, ranging from government to healthcare to education, commercial and retail. To read the press release on Constructech, click here.